Consumers Union, the advocacy division of Consumer Reports, welcomes the opportunity to submit written comments to the U.S. Department of Agriculture (USDA) Agricultural Marketing Service (AMS) on the proposals and discussion documents for the Spring 2018 meeting of the National Organic Standards Board (NOSB) in Tucson, Arizona. Several proposals on the NOSB’s Spring 2018 meeting agenda aim to strengthen the organic standards, and would provide additional assurance to consumers that their expectations are met when they buy foods with the “organic” label. We support the proposal to add language to the regulations to eliminate the incentive to convert native ecosystems to organic production. We urge NOSB to continue the unfinished work on Excluded Methods Terminology and to continue its work on protecting the genetic integrity of seeds grown on organic land. In addition to strong standards, meaningful labels must be backed by strong verification requirements and enforcement of those standards. Inadequate enforcement undermines consumer trust in the label. It is important for the USDA to deal with fraudulent imports, but fraud is not solely a problem with imports. The USDA should properly enforce the standards for all products, whether produced abroad or domestically. Our comments on the “Imports Oversight” section provide further detail. We also support the proposal to ensure that inspectors meet consistent minimum qualifications, and we would support licensing of inspectors by ISO-accredited organizations. While it is not on the agenda for this meeting, we urge the Livestock Subcommittee to start working on a proposal to prohibit the use of all antibiotics at all stages of life for poultry. This would ensure that the routine of use of antibiotics is consistently prohibited in organic production. In many ways, our vision for a safer, more sustainable, and more transparent food system aligns with the organic system. 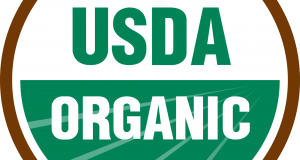 The USDA Organic label communicates to consumers that the food was produced on a farm that adheres to a comprehensive set of government standards designed to support a system of sustainable agriculture. The integrity of the organic label is worth protecting and, where warranted, its standards should be improved. This is why the work of the National Organic Standards Board is so important, and why we appreciate its work and dedication to the organic label.